LEGO Star Wars: The Force Awakens has bagged its fifth consecutive no.1, putting it neck-and-neck with current LEGO record holder LEGO Batman 2: DC Super Heroes. There’s one more chart to go until No Man’s Sky launches, meaning The Force Awakens may very well go on to become a LEGO record breaker. Uncharted 4: A Thief’s End rises to #2 thanks to retailer price drops, GTA V moves up to #3, FIFA 16 falls to #4 and then at #5 it’s the ever-popular Overwatch. DOOM dropped one position to #6, Rocket League rose to #7, Black Ops III hangs around at #8 while Minecraft: Xbox Edition creeps up to #9. At #10 it’s a re-entry – Ratchet & Clank, up all the way from #33. Pokémon Alpha Sapphire is another notable riser, going from #24 to #11. As for other Pokémon games in the top 40, Omega Ruby is at #18, Pokémon X at #25 and Pokémon Y at #29. The 3DS’s Monster Hunter Generations hasn’t had quite as much luck, falling from #9 to #22. Yo-Kai Watch is still clinging in there, though, at #40 for a second week running. Battleborn has claimed the UK chart’s top spot, giving Take-2 their first number once since 2015’s current-gen GTA V re-release. It appears Battleborn didn’t have to shift spectacular numbers to get where it is, however – Chart-Track reports that this week’s chart was hit by a “summer slump” with sales down 11% overall. Call of Duty: Black Ops III holds onto #2, last week’s chart topper Ratchet & Clank falls to #3, GTA V moves up from #8 to #4 and then at #5 it’s Tom Clancy’s The Division. Far Cry Primal moves up to #6, LEGO Marvel’s Avengers drops one place to #7, Dark Souls III sinks to #8 and then at #9 we have EA Sports UFC 2. FIFA 16 then finishes off the UK’s top ten at #10. The Witcher III: Wild Hunt is the week’s biggest riser – up from #37 to #17 thanks to a price drop – while Nintendo’s Yo-Kai Watch is the biggest faller, dropping from #14 to #25. The top 40 also sees the return of Uncharted: The Nathan Drake Collection, back in at #22. As far as this week’s chart is concerned, the purchasing habits of the British public make for interesting reading – ¾ of all top 40 titles have enjoyed a sales boost, thanks to a combination of retailer promotions and the long bank holiday weekend. The bottom half of the top 40 sees the return of such games as 2007’s LEGO Star Wars: The Complete Saga on Xbox 360, Xbox One launch title Zoo Tycoon, the Xbox 360 Classics version of Terraria, and Kinect Sports Rivals. Kinect Sports Rivals resurgence even sees it rise to #8 in the Xbox One chart, one position higher than Far Cry Primal. 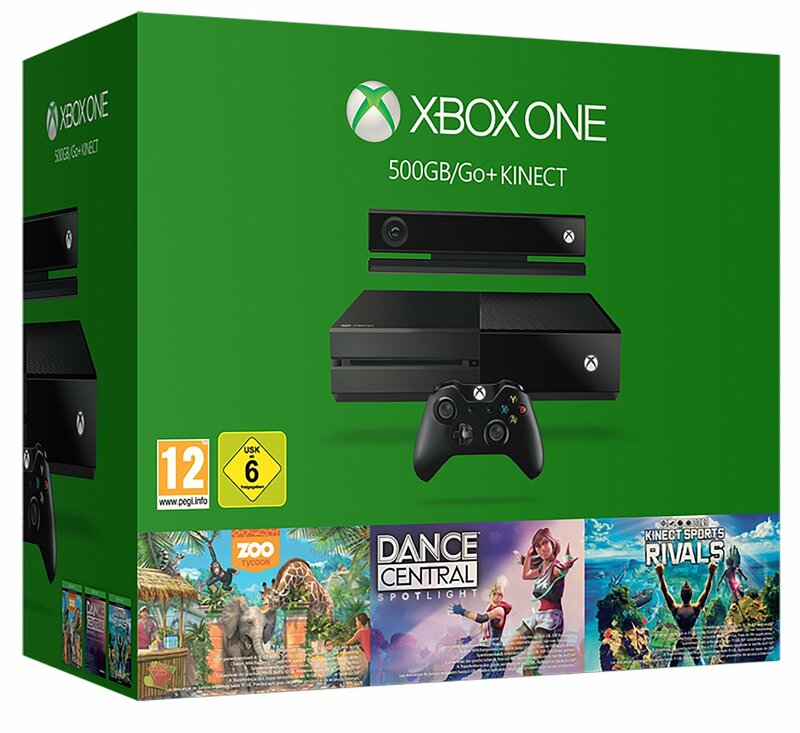 All signs point to retailers clearing out old Xbox One console bundles. The UK’s top ten has seen quite a significant shuffle too, with Star Wars Battlefront, Quantum Break and Star Fox Zero all making a swift exit. They’re currently at #12, #20 and #24 respectively. Ratchet & Clanks remains at #1 for a second week running, making it the first Sony published title to hold onto the top spot for two consecutive weeks since 2014’s The Last of Us. Chart-Track informs that it also gives Sony PS4-exclusive titles a total of 8 weeks at No.1 compared to Microsoft’s 5 weeks for Xbox One first-party exclusives. Due to new DLC, Call of Duty: Black Ops III rises up from #8 to #2 – it’s highest position since mid-February. Dark Souls III falls to #3, Tom Clancy’s The Division holds onto #4 and then at #5 it’s another non-mover – EA Sports UFC 2. With Captain America: Civil War now showing in cinemas LEGO Marvel’s Avengers rises from #11 to #6. FIFA 16 meanwhile is up one position at #7, GTA V re-enters the top ten at #8, Far Cry Primal surges from #17 to #9, and then at #10 it’s DiRT Rally. 3DS Pokemon-alike Yo-Kai Watch was the only new arrival, entering at #14. The very good Stranger of Sword City did however manage to top the PS Vita chart. Last week you could count the amount of new releases on one pair of hands. We don’t know why you’d want to do this, but it was entirely feasible. This week the PS4 alone sees 12 new releases. The majority of these are on other formats, mind. Two of them (Masquerade: The Baubles of Doom and Rugby Challenge 3) are even gracing the humble Xbox 360, which Microsoft announced they’re discontinuing manufacture of today. So long, old chum – you’ve had a good run. Rugby Challenge 3 is out Friday on just about everything, and should be one of the better egg ball simulators of recent times given the developer’s track record, while clown bashing adventure Masquerade comes from Big Ant Studios of Don Bradman Cricket fame (for want of a better word) and is out on Xbox 360, PS3 and PS4. There’s a demo of the Xbox 360 version, if you’re curious. We may as well rattle off the other multi-format games out this week. After being announced just a six days ago, Namco launches Arcade Game Series 3-in-1 Pack – containing Pac-Man, Galaga and Dig Dug – on PS4 and Xbox One. All three can be purchased individually for a few quid each if you wish, in addition to the standalone Ms. Pac-Man. Why this isn’t in the £6.49 bundle – thus making it a 4-in-1 pack – is a mystery. Presumably Namco didn’t want to raise the price close to a tenner and miss out on impulse buy sales. Achievement hunters will no doubt be delighted to hear that all four have 1000G to earn. Another retro classic getting a dust off this week is Pang Adventures – the first instalment in the Pang (aka Buster Bros.) series since 2010’s Pang: Magical Michael on DS. It’s out now on Xbox One and PS4 for £7.99, courtesy of Pix the Cat developers Pasta Games. 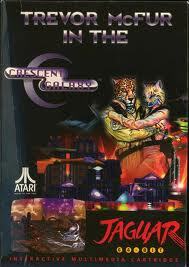 More arcade classic revamps from indie developers, please. You’d think publishers would be too busy showing off new software at E3 to release titles people can go out and buy right now. This isn’t the case, however – there are a few new games out this week. Game of Thrones is a hard one to recommend to anybody apart from fans of the show, especially seeing as this year has already given us The Witcher 2 and Dragon’s Dogma. With a 6/10 review from Eurogamer though it certainly could have turned out a lot worse. “Game of Thrones reminds me of a less polished Alpha Protocol – another weird, buggy RPG that overcomes its flaws to some degree with fascinating narrative implementation and a world that actually seems to respond to your actions,” they said. Currently the Metacritic score stands at 53%. We wouldn’t be surprised if this one dropped in price incredibly quickly. Another new RPG out is Blazing Souls: Accelate for PSP. Yes, the original PSP. It’s being released at a stupidly cheap price too – £9.99 on HMV. From role playing to racing. The first Wii game we ever reviewed was not Red Steel or Zelda: Twilight Princess, but rather Ubisoft’s Monster 4×4 World Circuit. It’s a game we picked up at launch and after just four or five hours we felt that we had seen everything it had to offer. 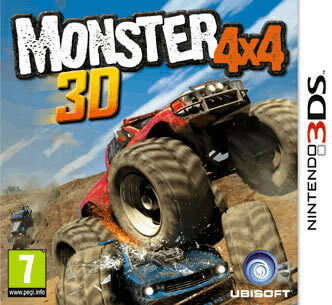 This week Ubisoft are releasing Monster 4×4 3D, at a budget price, no less. We can’t imagine it being any worse than Asphalt 3D. Ubisoft are also releasing Rayman Origins 3D at a slightly cheaper price. We assume this is because the console versions can be found for around £15. The demo provoked some mixed reactions – there were frame-rate issues and the controls felt a little stodgy. The only review at the time of typing is from Nintendo Power – the official US Nintendo magazine – who gave it 85%. We suggest waiting for a few more to surface. Ratchet & Clank HD Trilogy for PlayStation 3 may or may not be out too – Amazon says 8th June while Play says 28th June. Play seem to be a little off with their release dates at the moment, so we’ll go with Amazon’s date. It was originally due in May, we believe. If you’ve never played Ratchet & Clank, Ratchet & Clank 2: Locked & Loaded and Ratchet & Clank 3 before then it’s worth a purchase. It’s not like platformers are plentiful these days. Next week: Gravity Rush (PS Vita), Lollipop Chainsaw (PS3, 360) and Heroes of Ruin (3DS). Batman: Arkham City. Now this is a game that a lot of people have been waiting for. Visually it’s sublime – Rocksteady have managed to master the Unreal Engine in a way that only Epic themselves have. 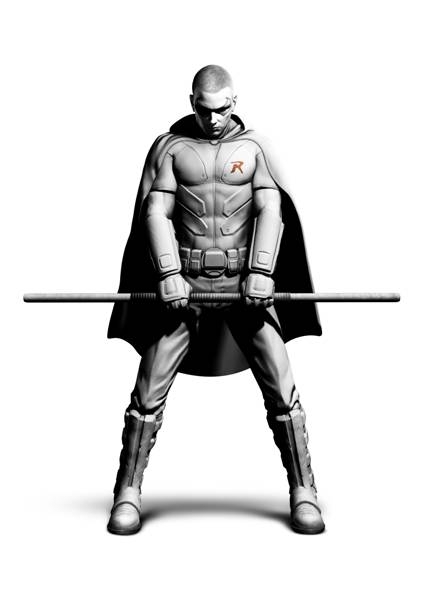 They’ve also managed to give us the first decent rendition of Robin. Robin often looks a bit camp or scrawny (or both) but Rocksteady’s reimaging casts him as a muscular, angst ridden teen with a shaven head. A few fans are miffed about Catwoman being a playable character, which is understandable seeing she’s not quite as an exciting a character as the dynamic duo, but her inclusion is hardly going to ruin the game. With reviews including a 9 from Eurogamer we will be very surprised if it doesn’t enter at the top of the chart next week. Ratchet and Clank: All 4 One isn’t another half-arsed affair like PlayStation Move Heroes, but the start of a new trilogy with Insomniac at the helm. Games Radar gave it a 7. They liked the co-op aspects but didn’t like the fact that puzzles are repeated, and suggested that it may have worked better on PSP. Eurogamer Sweden liked it a bit more, giving it an 8. Dance Central was one of the best Kinect launch games. Unless something has gone badly wrong there’s no reason to doubt that Dance Central 2 is just as good. PlayStation 3 owners shouldn’t feel left out – Sony are this week unleashing Dance Star Party to the dance-crazed masses. 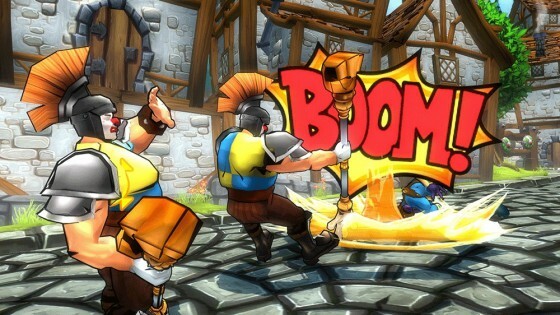 Ubisoft’s The Adventures of TinTin: The Secret of the Unicorn also features Kinect support. It would seem that Ubisoft aren’t doing a DS version of this movie tie-in, instead opting for a 3DS version. That strikes us as a little odd. It’s also out on PlayStation 3, Wii and PC. Much like Thor, which came along at a much later date, Captain America: Super Soldier this week hits 3DS. Thor on 3DS was a little better than the console versions. Hopefully this will follow suit, although the lack of reviews at present is worrying. 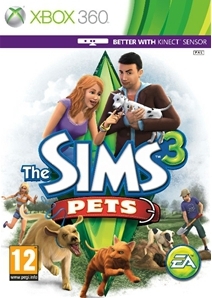 And we certainly hope that The Sims 3: Pets on 3DS is a better than launch game The Sims 3 too. EA’s pet petting sim also hits PlayStation 3 and Xbox 360 – with the Xbox 360 version having Kinect support – but there’s no Wii version. Seeing as EA even tried cramming Need for Speed: Hot Pursuit onto Wii, this also strikes us as odd. Next week: Battlefield 3 (PS3, 360, PC), Blackwater (360), Disney Universe (PS3, 360, Wii), Football Manager 2012 (PSP), Kinect Sports: Season Two (360), Kirby Mass Attack (DS), We Sing Rock (Wii), Dragon Ball Z Ultimate Tenkaichi (PS3, 360), House of the Dead: Overkill – Extended Cut (PS3), James Noir’s Hollywood Crimes (3DS), MotionSports: Adrenaline (PS3, 360), NCIS (360, PS3, Wii, 3DS) and Ski-doo Challenge (360, PS3).